The hotel kitchen is part of your overall customer service. That is why it’s an important factor in the quality of food your business is serving to the clients. Good food, however, is not only determined by the expert preparation in the hands of the best cooks and chefs in Singapore, but in the planning of the kitchen design, the quality of the commercial kitchen equipment, the menu plan, and the delivery of the food itself. What Does a Hotel Kitchen Do? 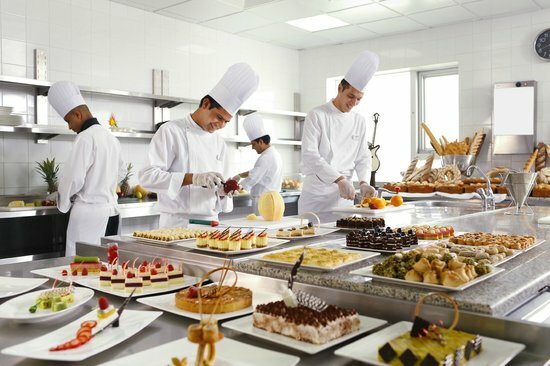 The hotel kitchen is where the food for the guests are prepared before they are served in the hotel’s restaurant, reception or banquet rooms, or through room service. What makes a hotel kitchen effective is its layout, which must take into consideration the menu and the tasks that need to be performed. Most hotels in Singapore cater to different clients, that is why most hotel kitchens vary in size and the number of staff. To make the tasks more manageable, the kitchen is usually divided into sub-sections or workstations, a factor that an effective kitchen manager should study before consulting a kitchen designer and a kitchen equipment supplier in Singapore. The main sections may include the following: hot food, cold kitchen or garde-manger or larder, bakery or confectionery, banquet, room service, receiving, wash up or pot and plate, and stores. The sub-sections for each are listed below. What Should You Include in Your Hotel Restaurant Kitchen? Now that the tasks can be divided among the kitchen staff, let’s look at the basic layout of a hotel kitchen. This area might be similar to most restaurant kitchens from singapore alpscreative In Singapore you will see outside hotels, but for a larger business, you will find more specialized sections that cater to different types of customers. When consulting a kitchen designer and a kitchen equipment supplier in Singapore, keep in mind the dimensions of the kitchen, its proximity to the dining area, and its accessibility to the delivery staff. A kitchen should be designed smartly to maximize the use of commercial kitchen equipment and to make the tasks of the staff easier, faster, and more efficient. 1. Storage Area – This section is the area designated for the kitchen supplies and storage of all ingredients. It should be near the preparation area, but must be accessible to the staff outside the kitchen. 2. Preparation Area – The preparation area is usually found in the middle of the kitchen where it is accessible to all the kitchen staff. This is where all the food is prepared before they are cooked. 3. Cooking Area – This area is where all the equipment that use heat or open fire are found. Some restaurants divide this further into the following areas: sauté, grill, fry, pizza, and salad and vegetable sections. 4. Serving Area – This is where all the cooked or freshly prepared food are placed before they are sent to the hotel guests or diners. The serving area is also near the kitchen line, or the area where the servers pick up the food. 5. 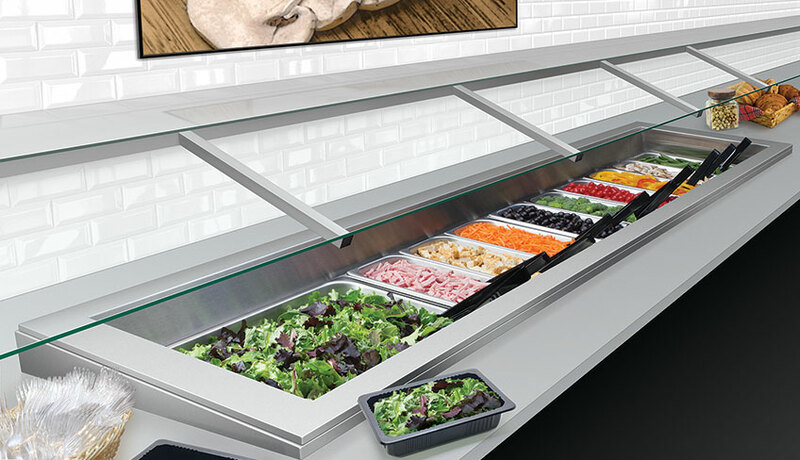 Special Areas – Some areas in the kitchen include specialized functions such as the sauce section, roast section, fish section, cold kitchen, soup section, vegetable section, bread/pastry/confectionery section, and outdoor cooking section. What Should be Included in Each Section? 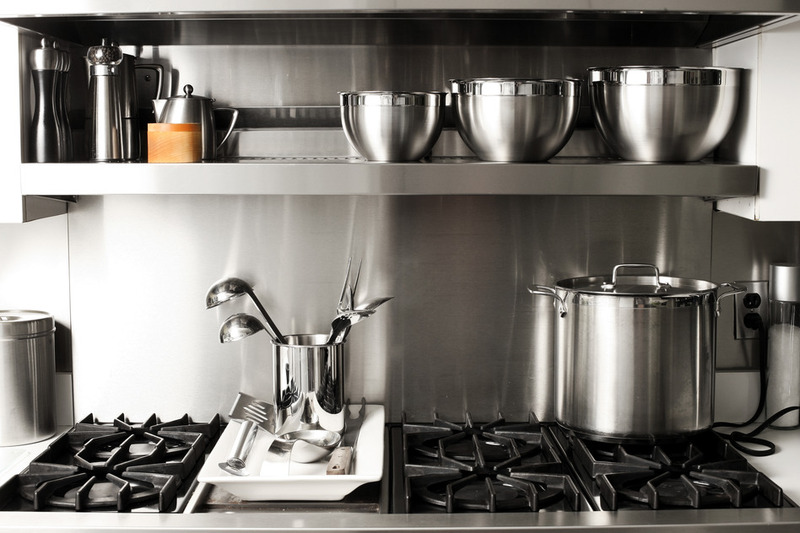 Each kitchen section will require different commercial kitchen equipment, so you should consult your kitchen equipment supplier about the appropriate type of equipment you will need. 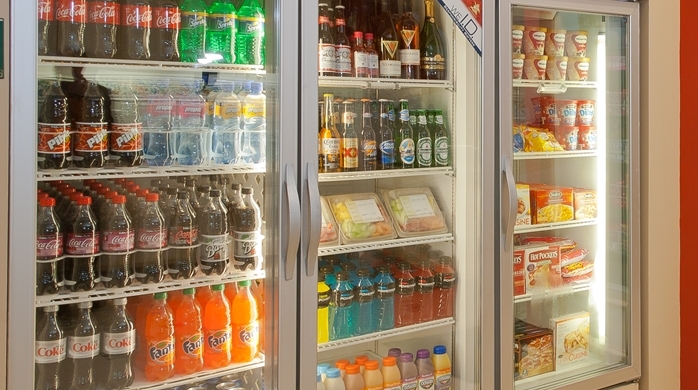 The appliances should be placed where they can be accessed easily by the staff without having to navigate through a complicated maze of commercial kitchen equipment.